For current news look at our page at Facebook. Stig ‘Stikkan “Anderson was born on January 25, 1931 in Hova. Among the general public, he was best known as manager of the successful Swedish band ABBA. He was also known as ABBA’s “fifth member” mentioned. He was also a great songwriter for other artists and he was the founder of the Polar Prize. Stig Anderson died on September 12, 1997, at the age of 66, in Stockholm on the consequences of a heart attack. His birthplace in Hova has named Gröna huset (the green house). On the square is a statue in memory of Stikkan. In general, one can conclude that the climate in Sweden in the summer is as hot as in Western Europe and in addition firmer. The Gulf Stream has a positive influence on the average temperature. (Source: ANWB Guide Sweden, 2004, third revised edition). One of the driest regions in Sweden can be found in the vicinity of Örebro with less than 400 millimeters of rainfall per year. 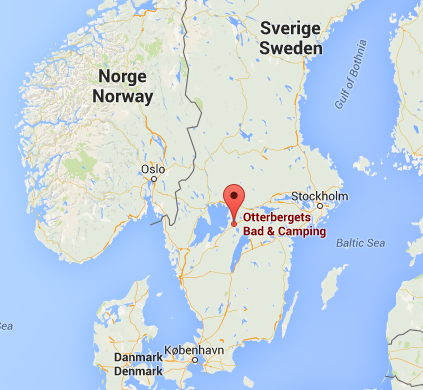 Örebro is located about 70 km from Otterbergets bad & camping. (Source: The Association of Meteorology and Climatology website).